Idaho has been known to possess numerous precious metal deposits over the years, and has since been famous for gold as well as silver mining. The region is endowed with various locations with specific mineral deposits such as gold and silver. 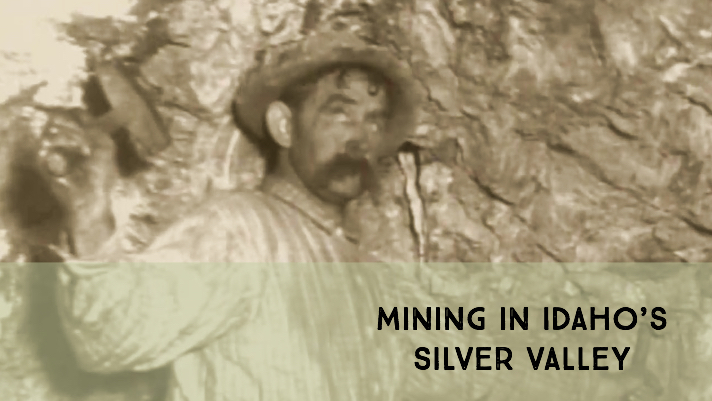 Among the locations known for silver mining is a place called the Silver Valley. The town of Wallace was the epicenter of silver mining in Northern Idaho. The mining history of Idaho’s Silver Valley dates back to the 1870s, when the first miners came to the area in search of gold, in the vicinity of the southern part of the Coeur d’Alene River. But eventually, it was established that instead of gold, the place was loaded with silver deposits. The town of Wallace was established in the year 1884, which was named after a local farmer by the name of William. R. Wallace. In no time, the place that was once known for agricultural activities changed to one of the most productive silver mining regions. When the mining activities begun advancing by the 1884, there was a huge discovery of Poorman and Tiger silver lodes in the area. Not only that, with the passage of time many more precious metals were discovered, leading to the place becoming one of the most prominent producers of silver at that time in the United States. By the year 1886 the fast growing mining industry of silver, also led to the rapid increase of population in the area as well as some developmental projects such as the railroad came into the picture. However, there came a time in the year 1890 when Wallace experienced disaster where fire swept through the area, burning all the wooden structures constructed by the miners. But after the disaster, the town got reconstructed again with the brick material in order to minimise the chances of vulnerability to the fire. Unfortunately, with the passage of time the valley was once again subjected to more fire disasters leading to the destruction of about one-third of the town as well as the loss of 80 people in the area of northwest region. But once again, with the resources obtained through the silver mining operations the town was reconstructed, and was back in shape in no time. The mining operations continued despite the challenges faced by the mine owners at that time. Among them being the labour constraints and the natural disasters, which slowed down the production of silver in the valley. The violence continued to arise between the mine owners and their employees as they kept requesting for better conditions of service, and by the year 1899 the violence kept increasing as the owners of the mines made attempts to discard unions. The challenges between the mine owners and the employees kept affecting the silver mining activities. For instance, about 17 miners were fired for joining a union, and that led to workers destroying the Bunker Hill and Sullivan mines using dynamite. And it took troops known as the Buffalo soldiers to restore the peace in the region. Later on, with the coming of the World War II the silver mining was disturbed some more and it brought the Silver Valley almost to nothing. With the passage of time, the population in the area kept going down from nearly four thousand by the year 1940. Nevertheless, the Silver Valley holds records of having had produced impressive quantities of silver along with other minerals. The valley is known to have produced over a billion ounces of silver, 3 million tons of zinc and 8 million tons of lead whose total value was estimated at $6 billion dollars. Due to the impressive results in terms of productivity, the valley was ranked among the top ten silver mining areas in world history. The Silver Valley is reported to have produced almost half of the country’s silver in the early 1970. After some time, as a result of the numerous challenges encountered, the silver mining operations ceased to grow in the early 1980s leading to massive job losses. But after some years, the mining of silver has since been resumed today with more silver deposits being mined. Apart from that, the Silver Valley is also a popular tourist destination. People from different locations visit the place to associate themselves with the remains of the town, in order to have an assumption of how life used to be for the miners many decades ago. In conclusion, Silver Valley has been known to be one of the major silver producers in the world. Mining still takes place here today, although on a much smaller scale than it was a century ago.